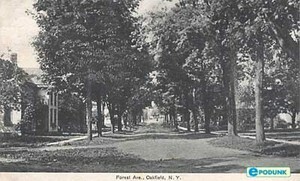 The Oakfield Historical Society meets the first Tuesday of the month at 7:00 P.M. at the Town of Oakfield Government & Community Center at Drake Street. We do not have programs in January, February or July these are board meetings only the public is always invited. Please refer to the calendar to find out what the topic for the monthly meeting will be. We have many items for sale at the museum and also available through the website. We have throws come in two different colors, cream and black and also cream and navy. We also have 7 books for sale and are always working on more. We are not equipped to do research at this time. However, if you have something or someone you are looking for we will be happy to check to see if we have anything. Please email us at oakfieldhistory@yahoo.com. Most of the research team are working during the day so it doesn’t give us alot of free time. Please note there may be a fee.